Why Google Analytics Goals Are Critical To Your Ecommerce Seo Strategy? Running an e-commerce business is a very special thing. Compare: when a client wants to buy something at a bricks-and-mortar store, a seller can speak to him or her, watch the client’s emotions and quickly respond to the customers’ needs. When a client goes on a website to buy something, a website owner doesn’t know anything about this client - what he or she looks like, how this person is doing today and what sales tricks can be used towards him or her. However, e-commerce entrepreneurs do not fly blind because they use different e-commerce SEO strategies and tools in order to analyze the clients’ behavior and take the necessary steps to improve their business. One of these tools is Google Analytics. Let’s learn why Google Analytics is a crucial service for the e-commerce business improvement and what information you can get from it. 1) What is Google Analytics? 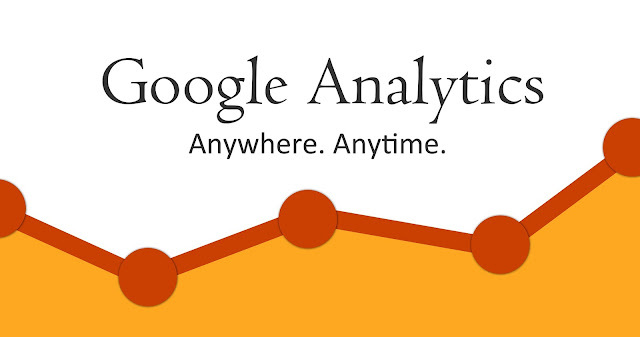 Google Analytics is a free tool offered by Google to help you analyze your website traffic. The tool puts several lines of tracking code into the code of your website. After that, the code starts recording different activities of the visitors when they are on your website. Then it sends all information to the Google Analytics server once the user exits your website. And finally, Google Analytics processes the data collected from your website in different ways. Of course, you will get a huge amount of data. So that not to be lost in the sea of information, it’s better to set up special goals. Here come Google Analytics goals to help. 2) What are Google Analytics goals? Google Analytics goals are a service that allows you to track all your website actions and fully understand the details of your website performance. A goal is the desired result that you want to get from your website visitors. As an e-commerce business owner, you probably expect that your clients will subscribe to your newsletters, add goods to the cart and make a purchase. However, your customers may think different. They can open your website, look at some pages and close it. Without Google Analytics goals, you will never know what happened and why your customers did what they did. As a result, you won’t be able to correct your e-commerce SEO strategy. All goals you create can be grouped into sets up to 5 individual goals. The sets allow you to categorize the different types of goals for your site. Google Analytics goals cannot be deleted, but you can stop them and the data won’t be recorded. 3) What types of goals are available in Google Analytics? This goal is reached when your website visitors go to the page you have chosen. Example: After making a purchase your client will see a page where you express your vast gratitude. You can take aim at this “Thank you page” and get the precise number of orders. Example: You want to know how many people scroll the page till the end and what part of them click the button “Get the coupon code”. In order to count the number of your potential buyers, set up 2 event goals (one for the scrolling, another for the button), collect the data and analyze it. If you see that only 5 people out of a hundred have scrolled the page until its end, it is a wakeup call for you – something isn’t right! This tool is used to monitor the number of visitors who spent on your website particular period of time. It allows you to know how many people visit your website more than X minutes. Example: If you have written a blog post that an average person will read about 10 minutes, but a duration goal shows that people usually leave the page after 2 minutes, it’s definitely not good and claims your attention. Maybe your post is nothing to shout about or your website design is extremely terrible or whatever. Open a webpage again and analyze it critically. With this tool, a website owner can learn how many pages a user opens during a visit. Example: Your visitors open 1-2 pages and leave the website. Analyze what type of content you offer to your visitors and why they could leave your website. 4) What to do with the received data? After setting up the goals and collecting the data you can look at the reports. Source/Medium reports display all the sources that attract visitors. At the top of the webpage find a drop-down menu, choose the goal you need and measure the value of different traffic sources for this goal achievement. As you see, the third and the fifth sources have the greatest impact on the goal achievement, whereas the fourth is useless. Probably it’s ok and the page is used for a quite different purpose, but what if exactly this page is as you guess your major source of traffic? What then? Unfortunately, you can easily ruin your business when focusing on the “wrong” pages and paying little attention to the effective ones. If your Google Analytics and Google Ads accounts are linked, use Campaigns report in order to see and analyze the efficiency of your e-commerce SEO campaigns. You can use the Audience report in combination with the turned on “Converters” segment to see the data that only refers to the users who have made conversions. With this tool, you can note the difference in the behavior between the users who made a purchase and these ones who left your e-commerce store without buying anything. Google Analytics goals are crucial to your e-commerce SEO strategy because they help better understand the behavior of your website visitors and take the necessary actions in time. A correct analysis of the received data is a key to the business success and a great way to improve your website performance.